What do you get when you cross a banana with an iguana? A Guanabana! Guanabanas, contrary to what the name may bring you to believe, is neither a reptile nor a fruit of the Musa genus. It is in fact a fruit native to many Latin American countries and also goes by the name of Soursop. Guanabana is most commonly used in ice cream and agua frescas in Mexico, which is where I initially fell in love with it. This pulpy fruit tastes lightly of mango and pineapples. It adds a wonderful tropical twist to many traditional cocktails that call for fruit juices as well as occasionally used in cooking (beer carnitas anyone?). 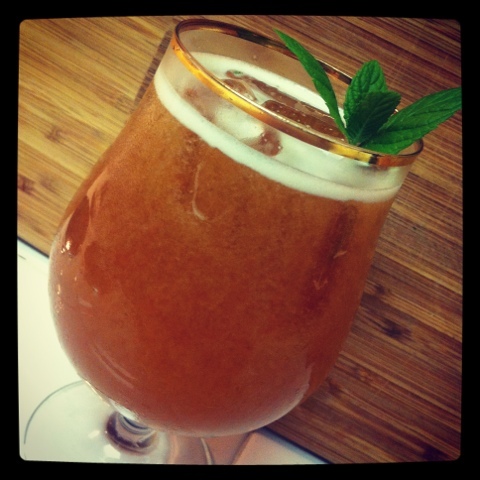 This beer cocktail is fresh, minty and perfect for a warm evening under the stars. Rum is a distillate of sugarcane by-products like molasses and sugar cane juice, through fermentation and distillation. Unlike some other spirits, such as cognac and scotch, rum has no defined production methods. Instead, rum production is based on traditional styles that vary between locations and distillers. Rum and beer have been mixed together for hundreds of years in a classic cocktail known as The Grog. Personally, I am not a fan, so when building this drink I prefer to be on the opposite spectrum of taste. Sailor Jerry is one of my favorite rums and blends very well in many different cocktails. The subtle cinnamon notes and lightly toasted toffee dance across your palate when enjoying this spirit straight. Spring has finally arrived, taunting us with its warm sunshine and thoughts of the beach and other outdoor adventures. Along with the much anticipated change in weather, the changing of the seasons has also brought with it a new and fresh focus on cocktail recipe development. When it comes to refreshing cocktails, I’m a huge fan of the mojito — a refreshingly effervescent mint and rum-based cocktail. Any cocktail that uses soda water, is an excellent candidate for a beer cocktail, in my book. 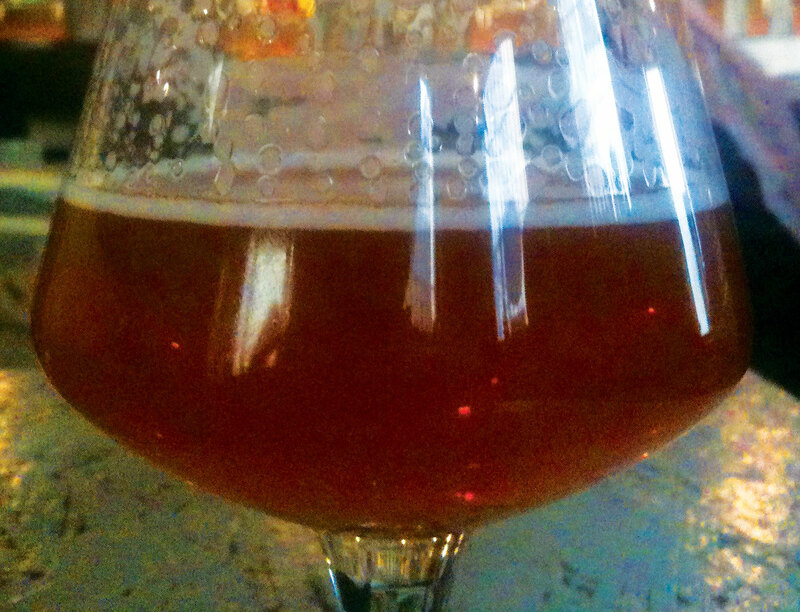 Beer provides the needed carbonation while imparting interesting flavors into the drink. Although the original mojito recipe is tasty on it’s own, it also makes a great base for variations. I love adding fruit, berries work especially well with mint, or even infusing simple syrups for a fun twist. This particular recipe was inspired by Maui Brewing’s Bikini Blonde Lager — a Helles-style lager brewed with floral hops and Pilsner and Munich malts. Refreshingly crisp, the Bikini Blonde Lager boasts light biscuit flavors, moderately low noble hop bitterness, and a clean, dry finish. It’s rather neutral flavor profile makes it an excellent canvas for a light and fruity beer cocktail. 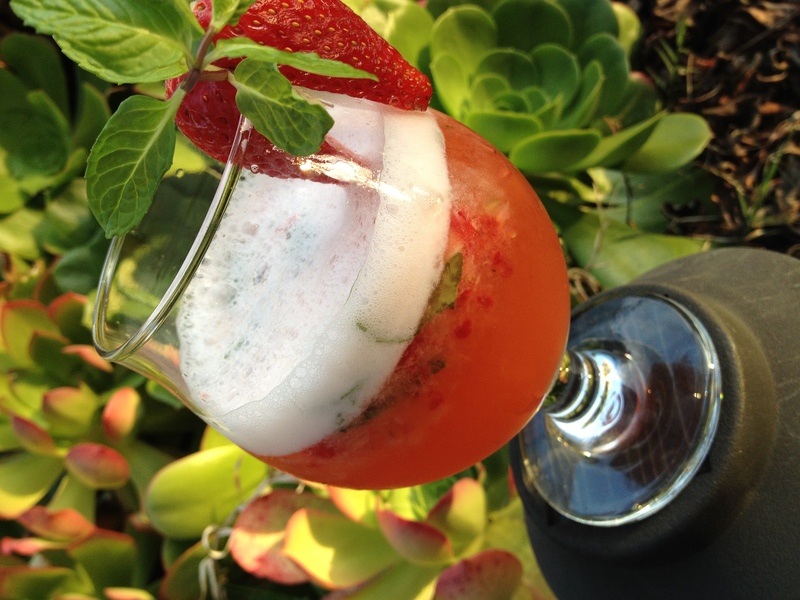 Strawberries, mint, agave nectar, rum and beer come together to make this cocktail a perfect sipper for the beach, backyard BBQ’s, or even on those cold, rainy nights spent dreaming of the sunshine to come. 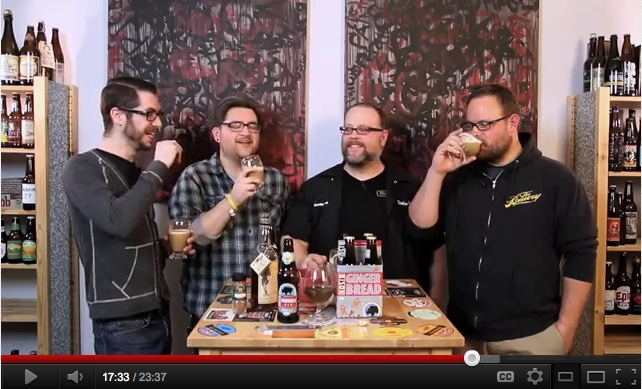 Our good friends over at New Brew Thursday, one of the most compelling and popular craft beer focused video podcasts on the Internet, recently featured BeerMixology.com’s original “Gingerbread Ale Flip” on an episode of their show, which we are not passing along to our friends and fans. Watch as the (rather adorable) men shake things up with a little beer mixology. 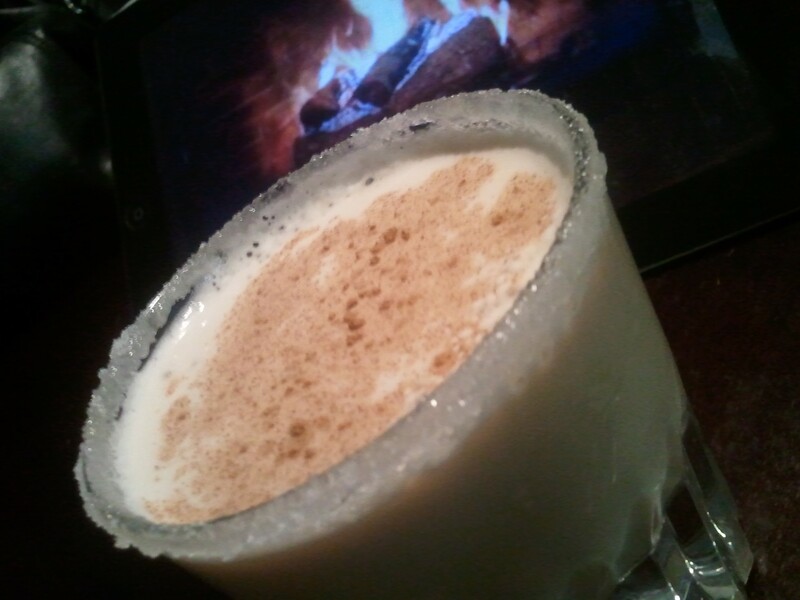 With the goal of being the foremost resource on the subject of beer cocktails, BeerMixology.com is constantly seeking contributions from readers, bars and restaurants, spirits brands, breweries and other mixologists. 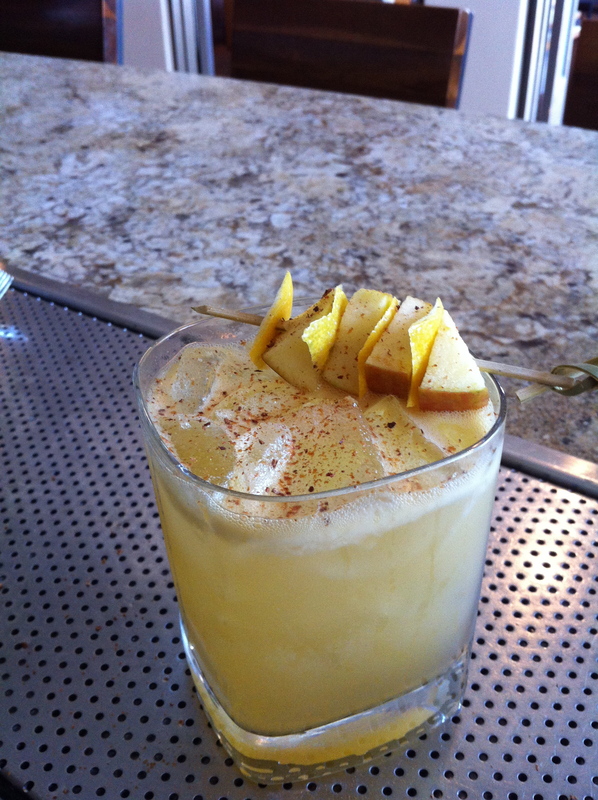 Today’s guest mixologist recipe, the Beer Nut Punch, comes to us from Ross Henrickson of Fort Collins, CO. The base punch recipe can be served on its own, served over ice, or blended into “spin-off” cocktails. Ross recommends trying his “Rumbnuts” or “Reese’s on the Rocks”.